Price is per 16-inch strand of these beautiful beads. Being natural, some are yellow, and some a little green, and some may be orange. Size of beads is a large 29mm x 9mm - about 12 to the strand. 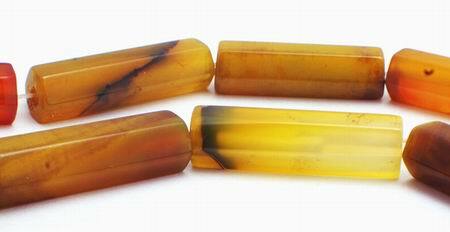 Agate is for mental energy and study.